On Sept. 12 at 6:59 pm, students received texts and calls warning them of an active shooter on Boston Common—four minutes after the Boston Police Department sent the Emerson College Police Department confirmation of the shooting and about twelve minutes after the first shots were fired. ECPD Deputy Chief Eric Shiazza said in an email that the alert took four minutes because sending one requires personnel to log in, properly word the message, prepare it for distribution, and ensure that the wording is accurate. 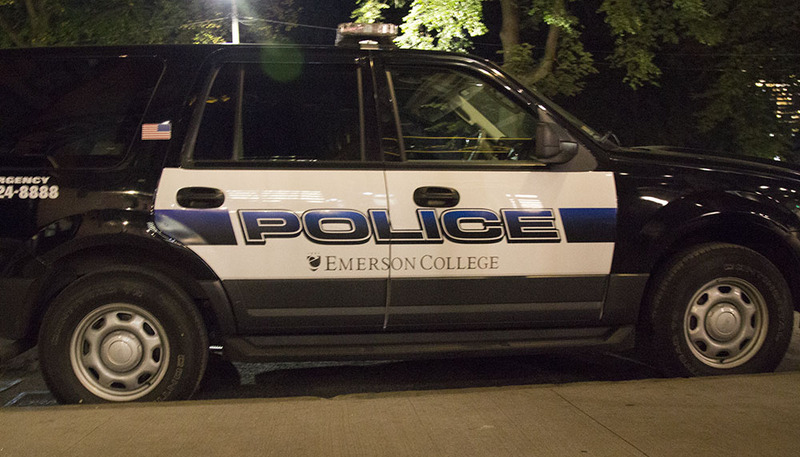 Emerson sent the message through Rave Alert, the college’s emergency notification system. The college switched from Blackboard to Rave Alert in June. According to ECPD, SMS messages were received by 90 percent of registered users 39 seconds after the alert. This is approximately two to three times faster than Emerson’s previous emergency notification system when operating under Blackboard, according to Chris Beaurpere, the director of emergency management. Freshman Monica Gregoretti said they felt the alert process could be more streamlined. “It should be more direct, instead of the ECPD manually having to put a notification together,” they said. According to Beaurpere, Rave Alert is one of the most used emergency services in the nation, and is used by multiple organizations and cities, most notably by Seattle’s Police Department as a city wide emergency notification system. Beaurpere said the switch was already planned when he entered the position this past January. “It was a collaboration with multiple departments, like [Information Technology], ECPD ... we were deciding between three vendors, and after demoing the systems decided on Rave,” he said. Beaurpere said the options were Rave Alert, Regroup Mass Notification, or Blackboard. Beaurpere said the switch to Rave Alert was implemented because of the overall better performance as an emergency notification system. According to Beaurpere, Blackboard is meant to be a classroom notification system, Rave can be used for a wider range of communication purposes. Beaurpere said a large benefit of Rave is its fast response speed. “The alert [for the shooting] went out in a matter of seconds,” he said. Beaurpere said the next step is for students to add more contact information into the system, now functioning with the title of Emerson Alert. Although all the information collected by Blackboard has been integrated into Rave Alert, Beaurpere says they are trying to push for students to submit more information, such as phone numbers, email addresses, and more detailed information for a crisis scenario. ECPD says that Emerson students can expect faster response time for emergency notifications, but otherwise the major effects of the change are on the administrative side—for filing purposes and to ensure a better organization of information for the notification system.